John Hoskison dreams of making it as a successful golf pro on the European PGA Tour. When he meets Seve Ballesteros for the first time and makes the cut in the Martini International, he looks set for success. Then reality kicks in at Royal Birkdale in the PGA Championships. This is a true story of how someone has to deal with life's ups and downs. After topping a shot in front of Seve and almost hitting Greg Norman with a monumental slice, John is overcome by the sheer brutality of championship golf. With confidence in tatters John sets out on a quest to find a golf swing that will work and stand the ultimate test of playing in The Open - his dream. But there are no psychologists or coaches to help. Like the rest of the young pros, he has to find the solution himself and no stone is left unturned. From trying crazy superstitions to simply copying the top players like Tom Watson and Nick Faldo, this book shows the difference between the modern day tour pro and the young men who went into battle with blindfolds on. The account of John Hoskison's life on tour is funny, sad and brutally honest. This book will be a fascinating read for all keen golfers or sportsman and the sting in the tail will surprise everyone who reads it. A preview of this book is available to read on Amazon. "Always wondered why I couldn't chip! Now I know what I should be doing, loved the stories about his days on tour, can't wait for his next book to come out!" Most golfers never improve irrespective of what they try. You needn't be most golfers. 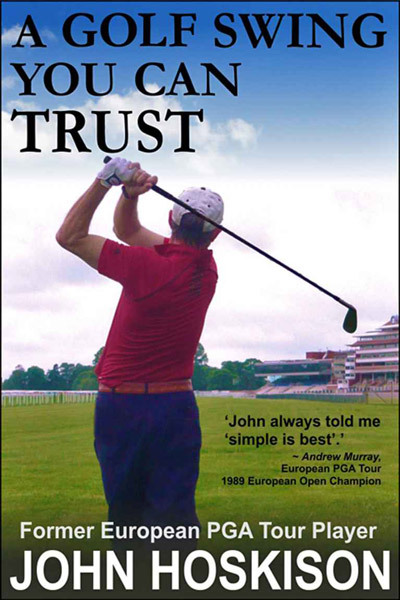 A Golf Swing You Can Trust is an original work by John Hoskison, a deep-thinking PGA player and teacher. Inside, John reveals how, after years of slicing, he went from the worst player on tour to the National PGA Professional Champion by using these simple techniques. From the grip to the finish position, John coaches using humour and unique analogies to explain how the golf swing works, and how to build a swing you can trust. "John taught himself a great technique and knows as much about the golf swing as anyone I've met." "John has solid orthodox technique and is a great student of the game. He always told me 'simple is best'." "This book is the only one that got me back on track. I spent over a year trying rebuild a swing I had no confidence in." "Clear descriptions on building an efficient, repeatable golf swing, plus easy exercises to develop proper muscle memory so you can actually apply changes made in practice swings to your swing. Get and read this book!" Think like a pro and you will shoot lower scores. The art of saving shots on the golf course is a skill; and like any skill it can be improved. No matter what your handicap! Whatever you struggle with—wasted shots around the green, inaccurate iron shots, missed fairways or too many shots lost in the sand—the unique coaching advice offered by PGA European Tour Player and Golf Pro John Hoskison will improve your game. Shooting lower scores requires control of the ball, and your mind. John's techniques, learned on the PGA circuit, will keep you relaxed and calm under pressure, even when disaster strikes. Use John's proven 'swing thoughts' to keep the ball on the fairway, chip closer to the flag and putt better on the greens. Replace fear, anger, and doubt with John's step-by-step process for preparing for a round, practicing for maximum benefit and employing the tactics needed for shooting lower scores. "... The read has worked for me and I loved the easy writing style that is almost conversational, like you have a coach right beside you." "Cracking instruction book, covering everything you need to get your handicap down. Plenty of great tips to try out on the practice ground and course." 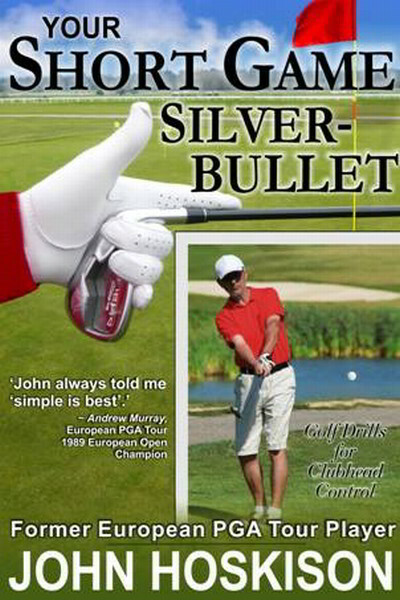 "A great book for any golfer who wants to improve his/her handicap! 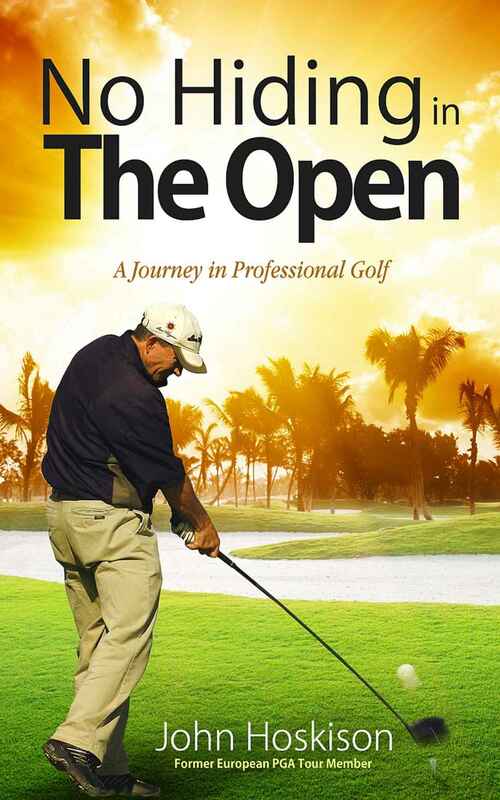 The instructions and advice are the best I have ever read in other golf books." 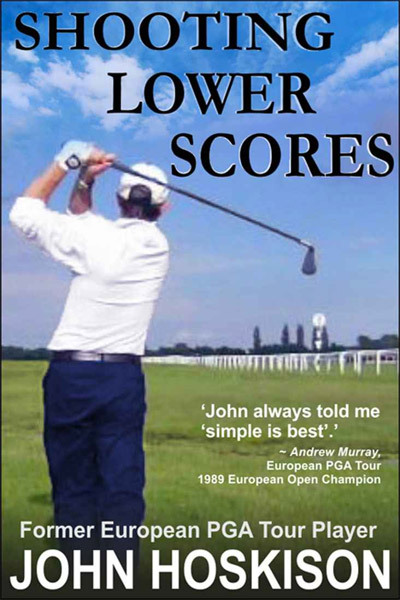 "Pair this with John Hoskison's other book "A golf swing you can trust" and you have two superb books on the swing, and how to go about REALLY using it effectively."